Bourbon, mixed nuts and Vanilla. Yet another Le Vapeur Express magical flavour profile. 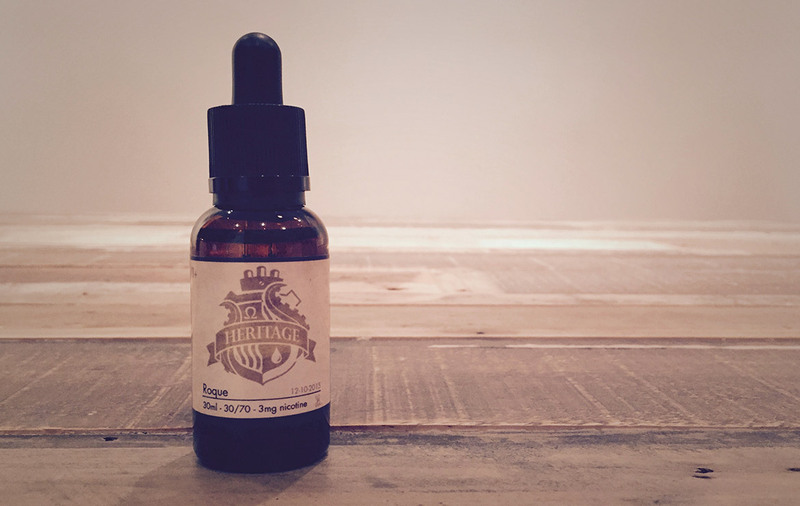 This is the third and final profile in their Heritage line we will review. Roque is one rich and savoury cocktail inspired vape. The mix of Bourbon with a nice hint of Nuts and Vanilla really make this a fully bodied profile. It rich without being overpowering and has the perfect amount of sweetener. It sort of tastes like a Bourbon Manhattan with a touch of Amaretto, the Vanilla gives an almost Caramel quality to it all. The Front is a Sweet Bourbon with nice notes of Nutty Almond and Vanilla. The back is a Sweet and Smokey Vanilla and Nuts. The Flavour combination is well balanced and works very well together. We have to be honest, we never thought Nuts and Bourbon could work so well together. If you are looking for a savoury profile this may just be what you’re looking for. All Day Vapability: For sure, great cold weather vape. Heat: Does well, but shines in the lower temps. ça a l’air bon tout ça!